A helpful treatment of Worship and Exclusive Psalmody. The Psalms: Manual of Praise The Psalms are the divine manual for praise in the church. The Psalms: the Divinely Authorized and Exclusive Manual of Praise by Dr. W.I. Wishart It does not fall within the province of this paper to discuss the great Confessional principle that ” the acceptable way of worshiping the true God is instituted by Himself, and so limited by His own revealed will that He may not be worshiped according to the imaginations and devices of men, or the suggestions of Satan, under any visible representation, or any other way not prescribed in the Holy Scripture.” But a reading of the theme to be discussed suggests at once that the position of the United Presbyterian Church touching the matter of praise rests back upon this Confessional principle. The vital question at issue is not so much between inspired and uninspired hymns as it is between authorized and unauthorized hymns. If the position of the Reformed Churches be true, that no mode of worship is acceptable except that which is prescribed in the Holy Scriptures, either by direct command or by good and necessary inference from them, then the question of divine authorization for the hymns that are used in the formal praise of God becomes a matter of paramount importance. Whatever other considerations may influence men in selecting the sentiment with which they will approach God in praise, it is to be remembered that the real question hinges upon the matter of divine authority. Authorization is the Little Round Top of our position. It is our privilege in this discussion to assume that the Confessional principle concerning the necessity of divine prescription ‘ is established. Two questions, therefore, respecting the matter of praise in the worship of God are suggested by the theme. First. Are the Psalms divinely authorized to be used as the matter of praise in the formal worship of God? And second. Can such authorization be claimed for the devotional compositions of uninspired men ? My theme affirms the first and denies the second of these questions. It is manifest that this paper can do nothing more than give an outline or syllabus of the argument by which the positions just mentioned are to be maintained. The detailed argument is to appear in other papers. No originality is claimed for the findings here announced. This subject has. been so often and so thoroughly discussed that for him who would construct an argument upon it to-day there is nothing left but a work of compilation. As tending to establish the main thesis of this paper, that the Psalms are the divinely authorized and exclusive manual of praise, it is affirmed, first, that these old Hebrew lyrics were given and distinctly authorized to be used as the matter of praise in the Old Testament Church. This will appear from a number of considerations. 1. There is the a priori probability that God would furnish a book of songs in the use of which fitting praise might be offered to Him. Properly to celebrate the character and perfections and glorious works of the Triune God requires a knowledge of Him and His ways that men could not possess without having such knowledge brought to them by special revelation. “The things of God knoweth no man but the Spirit of God.” It is reasonable to expect that the God Who gave such minute direction as to other acts of worship would not leave men without guidance in the supremely important exercise of celebrating in song the goodness and greatness and saving might of Jehovah. 2. The Book of Psalms in its structure and form seems to answer to this natural expectation, and to be such a book of praises as God might furnish men for His worship. Here is a collection of 150 devotional poems. They were written by various men, all of whom were confessedly under the direct inspiration of God. They were written at various times, stretching over a period of some hundreds of years. Manifestly under the superintendence of the Holy Spirit these particular songs were gathered together out of all the mass of Hebrew poetry, and were called ” Sepher Tehillim,” or the ” Book of Praises.” And the poems thus selected and collected are for the most part short lyrics, suitable for chanting or singing, and their main subject matter is the ascription of praise to God. Given the antecedent expectation that God would furnish a book of praises for His people, and understanding these facts concerning the structure and history of this particular book, it would seem to be evident that this book was prepared for no other purpose than for use as a manual of praise in the worship of His Church. 3. The matter and sentiment of these Hebrew poems are especially adapted for use in the praise of God in all ages. It is confessed on all hands that these Psalms are the very highest order of lyric poetry. The world’s literature offers nothing to be put in the same class with them. They are filled with sublime expressions of devotion to God and declarations of the greatness of His name and works, such as were peculiarly adapted to that people whose mission it was to proclaim the one living and true God to the world. And in this respect they are adapted to all generations of the Church and to every monotheistic people. In variety of matter they are suited to all ages and conditions and circumstances in which men may find themselves. Out of this collection they can take a Psalm and make a fitting approach to God on the wings of praise. 4. The titles by which these songs are designated in the Word indicate that they were given to be used in praise. They are called ” Psalms,” which word in itself indicates devotional compositions which are to be sung. They are called the ” Songs of the Lord,” an expression which would seem to indicate, not only that they are from the Lord, but are to be used in acknowledgment of Him. They are called the ” Songs of Zion,” an expression which seems to indicate that they we’re given for the uses of the Church. The titles and superscriptions of many of the poems contained in this collection indicate clearly that they were prepared for use in the praise of God. 5. These Psalms were directly commanded to be used in the formal worship of the Church under the Old Testament dispensation. This statement will be borne out by such passages as 1 Chron. xvi. 4, 7; 2 Chron. xxix. 30; Ps. cv. 2; Ps. xcv. I, 2; and Neh. xii. 24. 6. The hymns contained in the Psalter were the only matter of praise in the formal worship of the Old Testament Church. It seems entirely safe to affirm this without any hesitation. There is no hint or trace, either in the Bible or in Jewish tradition, of other songs being used in worship. While there are other highly-wrought pieces of devotional poetry in the Old Testament outside the Book of Psalms, the indications seem to be clear that these were not used as the matter of praise in the formal worship of God. Ancient Jewish tradition would seem to indicate not only that these particular songs were used exclusively as the matter of praise, but that they were the folk songs, the battle-songs, the festal-anthems, of the people. These considerations, when their cumulative force is felt, seem to amount to a demonstration of the proposition that the songs contained in the Book of Psalms were the only authorized matter of praise in the Old Testament Church. But the question arises, Does this ancient appointment hold in the New Testament dispensation? Is it the divine purpose that these inspired hymns given to be used in the Old Testament Church are in like manner authorized in this Christian dispensation? Here is an exceedingly important part of our inquiry; for it is confessedly true that some things were warranted in Old Testament worship which are not authorized in the New. Here is where the position we are defending is most often assailed. 1. The Church is one in all ages, and any divine regulation affecting worship once made remains in force until it is re pealed or in some way superseded. Certain regulations belonging to the worship of the Old Testament economy, having served their end, were abrogated, or a new form of worship took their place under the New Testament dispensation. But until God has plainly indicated that any law of His has served its end and is repealed, we may not venture to consider that it may be disregarded. He commanded that His. people should praise Him with Psalms. There is no repeal of that regulation. 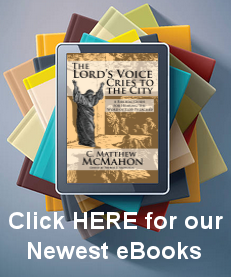 There is nothing in all the scope of New Testament teaching to indicate that the ordinance of praise as it had been instituted before had served its end and was repealed. The Church is one. If the Psalms were authorized to be used in the Old Testament dispensation, they are still the authoritative matter of praise. 2. If God had regarded the Psalms as inadequate to meet the needs of the Church in gospel times it is reasonable to sup pose that He would have provided a substitute for the ancient book of praises. He provided a better substitute for the old ordinance of circumcision. He did away with the sacrifices, since the great Sacrifice had come. He put the Lord’s Supper in place of the old Paschal Feast. Circumcision, the sacrifices, the Passover observance, were outworn. They were inadequate to meet the needs of this larger dispensation. But there is no slightest hint of anything as being offered to serve in place of the Psalms as the matter of praise in the worship of God. 3. The hymns of the Book of Psalms are admirably adapted to serve as the medium of praise in this Christian dispensation. They are full of Christ. And though written so long before His coming they constantly speak of a Christ as having already come, as having already suffered, as having already ascended, as coming again to judgment. It is a very strong evidence of the divine intention that these songs should be used to the end of time that they seem always to view the Christ from the Post-Advent standpoint. They set Him forth in His kingly, in His high-priestly, and in His prophetic offices. They give an adequate representation of Christ to the Christian worshiper. They contain the great fundamental gospel ideas of atonement, of regeneration, of forgiveness of sin, of repentance unto life, of sanctification, of a place in the Father’s house forevermore for them that love and trust Him. There is no worthy aspiration which the Christian cannot voice in the words of a Psalm. All those grateful and praiseful emotions kindled in the breast by remembrance of what Jesus Christ has done for us get fitting expression in the words of the sweet singers of Israel. Indeed the greatest Christians have ever betaken themselves to the Psalms to find adequate expression for their love and gratitude toward God. These songs are adapted to the New Testament dispensation, and adaptation argues divine authorization. 4. The use of the Psalms in the New Testament Church is distinctly sanctioned and their appointment reaffirmed by the example of Jesus Christ and His Apostles. Christ forever linked Psalmody into closest relation with the great Sacrament of the Church when He and His disciples hymned the Hallel that night when He instituted the Supper. There is very general agreement that it was these old songs which the Master Himself sang when He joined in worship in the home, or in the synagogue, or in the splendid ceremonial of the Temple. It not only puts the question of their authorization beyond a doubt, but it certainly gives an added interest and sweetness to these old songs when we remember that Jesus Himself used them in praise. The example of Christ and His Apostles is quite sufficient to make any practice or form of worship authoritative in the Christian Church. 5. There is definite command to make use of the hymns of inspiration in the worship of the New Testament Church. Such commands are found in the two classic passages, Eph. v. 19 and Col. iii. 16. That the devotional compositions mentioned in these commands can be no other than the songs of the Book of Psalms would seem to be evident from these considerations: (1) There is no evidence that any uninspired Christian hymn was in existence at the time these commands were given, nor for more than a hundred years thereafter. (2) These are not commands to make hymns, but to use hymns and Spirit-given songs such as were already at hand. These could be found only within the volume of inspiration. (3) The epithet ” spiritual” seems to mark these songs as being the product of inspiration. (4) It is implied in one of the passages that by the use of the psalms and hymns and songs the Word of Christ would dwell richly in the worshiper, which expression, ” the Word of Christ,” we would naturally take to mean the Word of divine inspiration. (5) It is not likely that the Apostle would put inspired and uninspired songs upon the same basis, and speak of them as equal in devotional value and spiritual profit. (6) As a matter of fact all the terms used in these passages have been applied to the songs contained in the Book of Psalms. In view of these considerations we venture to look upon Eph. v. 19 and Col. iii. 16 as commands to make use of the songs of the Psalter in the worship of God. 6. Add to all this the further consideration that there is no evidence of any uninspired devotional composition having been used in the Apostolic Church. If such songs had been used it would seem that there would certainly be some trace or remains of them. Unless these songs were, of the most ephemeral kind, like some of the ” sunshine hymns ” of to-day, they would certainly have survived. And it takes a good stretch of the imagination to think of Paul, the man who wrote the sublime sentiment of the Eighth of Romans or the Thirteenth of First Corinthians or of rugged old Peter, singing to God in “sunshine hymns” of the modern type. The fact that there is no trace of any uninspired Christian hymn being used in the formal worship of God, or even being in existence, during the Apostolic era is strong evidence that the Church of that day knew no manual of praise but the Psalter. These things seem to afford a strong ground for the assertion ‘hat the inspired songs of the Psalter have been the authorized psalmody of the Christian Church, as well as of the Church of he Old Testament dispensation. And this general conclusion is confirmed still further when we take a general survey of the Early Church and its customs in the years immediately following the death of the Apostles. Light is thrown on what was regarded by the Apostles and those contemporaneous with them as the divine prescription in worship when we discover what was the practice of the Church they founded n the days when that Church was still feeling, fresh and strong, ,he impulse of their lives and the force of their teaching. These things can be asserted without hesitation concerning the Early Church: 1. The songs of inspiration were used exclusively as the mater of praise for a period of at least one hundred years after he death of the Apostles. If this statement is true, and I think t can be fairly well established, it makes it in the highest degree probable that the Apostles and their contemporaries knew not either matter of praise. 2. The Psalms constituted the chief material used in praise through all the period of the Early Church. No one who is in my way conversant with the history of the first four centuries if the Christian era will offer for a moment to question this statement. The Psalms had the chief place. The Church of that lay was wedded to them. The regularity with which they were used and the high regard in which they were held indicate that hey had come to the Early Church with the strongest possible sanctions. 3. The use of the compositions of uninspired men in the worship of God seems to have been begun in the Early Church by certain teachers of false doctrine with a view to the wider diffusion of their particular theories. So far as the beginnings of this practice can be discovered its origin would appear to have been in the interests of heresy. 4. The orthodox appear to have adopted the uninspired hymns with great hesitance and reluctance, and only in order to counter act the teachings they regarded as false. Now when all these points are taken into consideration—the strong assurance that the Psalms were the divinely authorized book of praise for the Old Testament Church, the equally strong assurance that they were accepted and reappointed for the Christian Church, the fact that uninspired songs were not used in the days of Christ and His Apostles, nor were in any way approved, and the first practice of the Early Church, together with the history of the first introduction of uninspired hymns,—all these things make a very strong case in favor of the Psalms of inspiration as the only manual of praise for the Church to the end of the world. This conclusion, thus buttressed, is still further strengthened by some general statements touching the whole question. 1. The superiority of the Word of God over all words of men will be admitted, and the Psalms of inspiration are certainly more fit to be used in the offering of praise than the best compositions of human genius. 2. The Psalms have a strength in their conception of God which is peculiar to themselves, and which makes them especially helpful as a medium of devotion. 3. The Psalms express more fully than any other book the religious experience of believers. Those Christians of deepest piety and devotion have come to live in the ” psalm country,” and it is for this, among other reasons—in these old songs they find their own experiences so accurately mirrored. 4. No system or collection of merely human hymns has ever proved satisfactory to the Church at large. They all lack at important points. 5. The Psalter is the only absolutely safe hymn-book. It contains no error. It teaches no falsehood. It needs no amendment or expurgation. It is the Word of God. All men of all faiths can take up these old songs and sing them, and teach their children to sing them, and all the while be sure that they are planting no seeds of error. 6. The Psalter is the true union hymn-book. This statement follows naturally from the one last made. There is much talk of a union of the Churches. And there are many things that would have to be adjusted before organic union can possibly be brought about. But it would seem that the matter of praise might be adjusted very easily by adopting the one hymn-book in which all Churches believe, the God-given Songs of Zion. 7. It has been demonstrated in long years of experience that the exclusive use of the Psalms as the matter of praise develops a strong and sturdy and devout type of Christian character. The same cannot be said of the songs of merely human composition. In these days when there is so much moral weakness and flabbiness of character, when convictions are held so lightly, and moral boundary lines are marked so very indistinctly, there is need that the whole Church get back to the strong old songs of divine inspiration. They will put iron in the blood. They will put strength into the purposes. They will make men humble before God, but mighty for His truth’s sake when they stand before men. They will give us for these days character like that of the Covenanters and the Huguenots and the Puritans, men who know God and will dare to be true. And that is the sort of revival which the Church most needs.